TROPANG TNT has found a new import prospect in David Simon and will likely be signing him for the meantime in the PBA Commissioner’s Cup. After Alan Williams and Vince Hunter were floated as possible replacements for the suspended Ivan Johnson, Simon, an American journeyman big man, has emerged as the Texters’ choice after all. Texters manager Virgil Villavicencio confirmed the development after the Texters’ 108-101 loss to GlobalPort on Friday night, saying the 33-year-old Simon is expected to arrive on Monday ahead of the team’s match against Alaska on Wednesday. The champion coach admitted they had a tough time against the Batang Pier without a reinforcement as they fell into a 21-point hole. The 6-10, 260 lbs. Simon previously saw action with the Seoul SK Knights in the Korean Basketball League where he averaged 20 points, nine rebounds and two assists in 50 games. 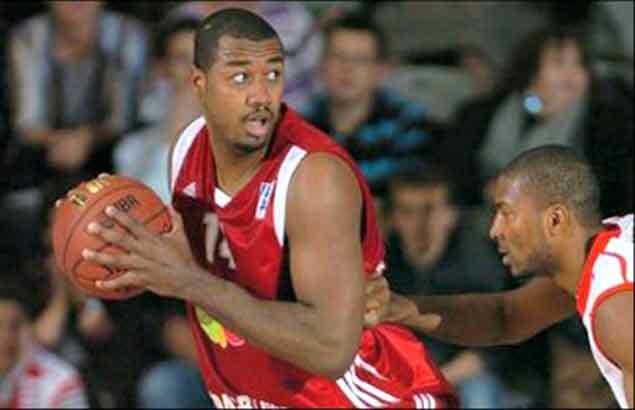 The Indiana University- Purdue University Fort Wayne product spent most of his overseas career in Europe.